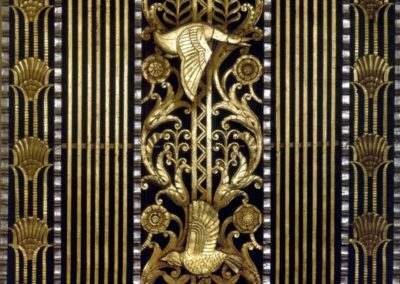 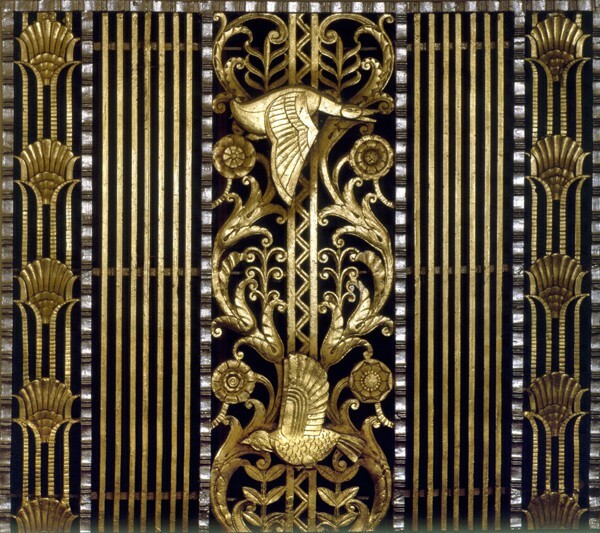 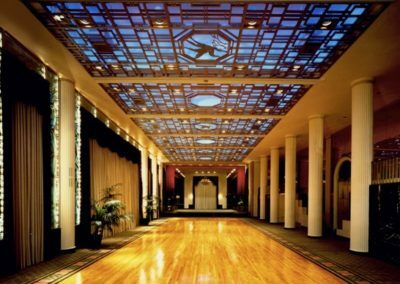 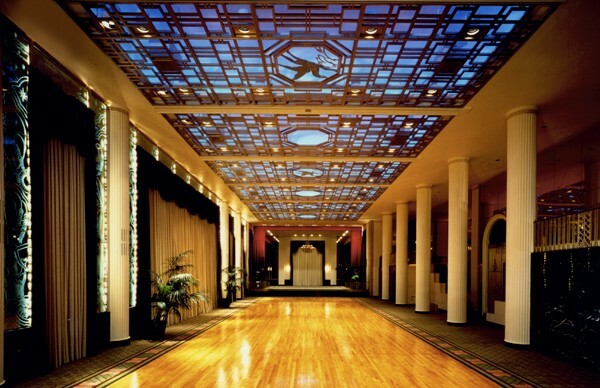 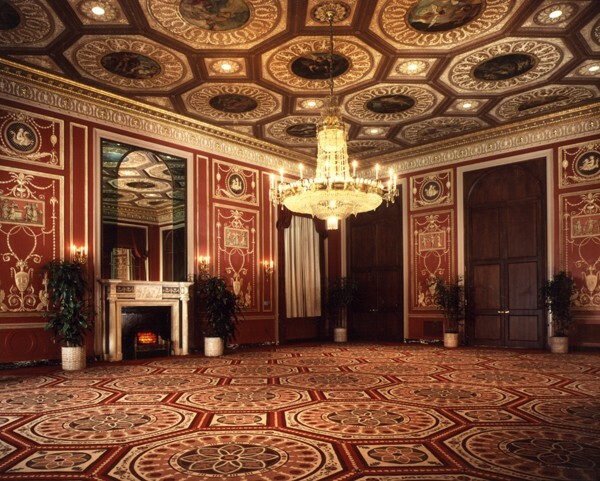 In the Waldorf Astoria Hotel in New York City, Conrad Schmitt Studios spent five and a half weeks of concentrated work restoring the Grand Ballroom. 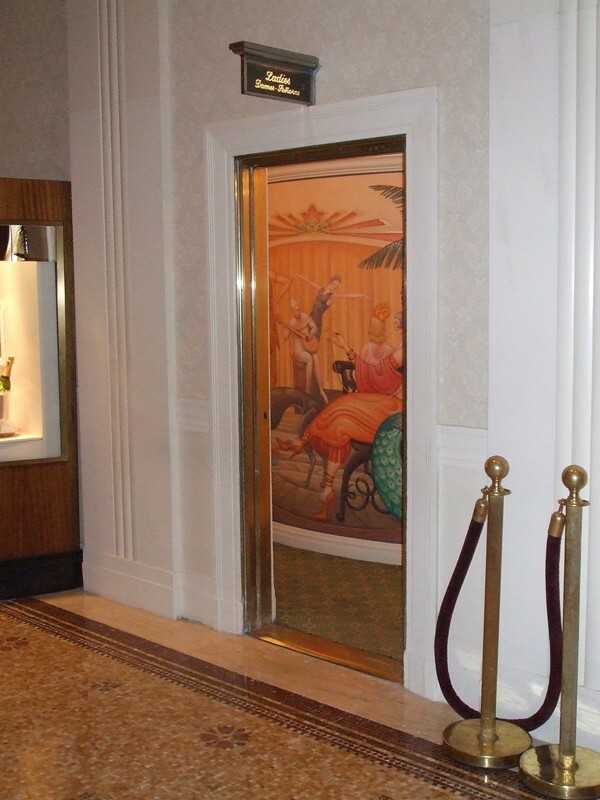 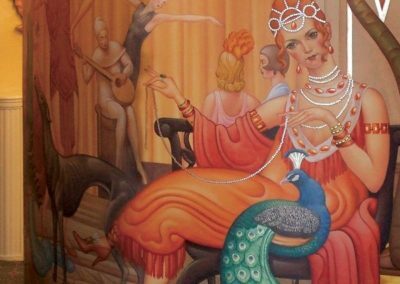 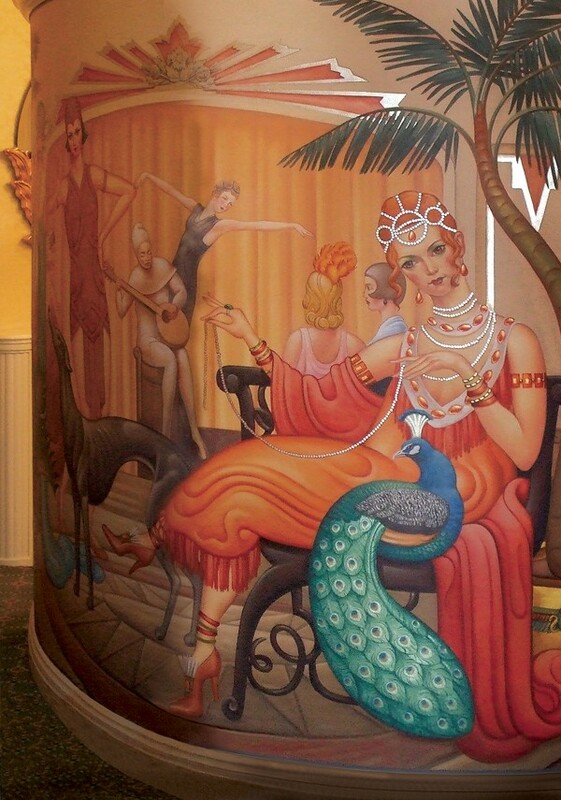 The transformation was made from the dark green and brown tones to a monochromatic palette of champagne tones, highlighted with soft grays and rich gilding. 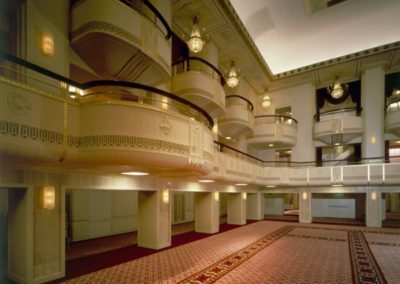 The work also included the ballroom stairwells, balconies and the East Foyer. 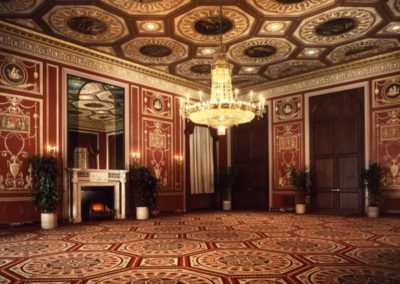 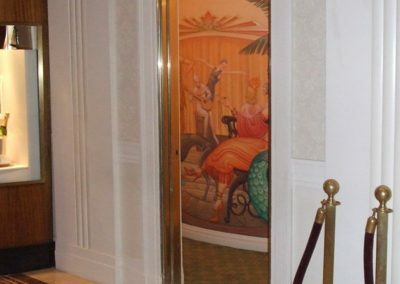 The CSS team restored the decorative plaster, gold and aluminum leaf-work, painted the ceilings, walls and installed wall coverings. 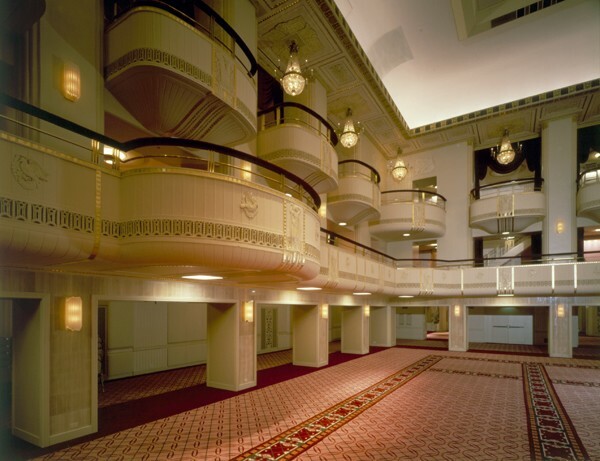 The Ballroom, which seats 1,660 people opened on schedule with a room appearing about one third larger as a result of the renewed color scheme.